Motorcycle Law Scotland is proud to be continuing our sponsoring of Team Tasker for the 2017 Season. This is a slightly different year for the Tasker clan with Dad, Peter, joining Andrew and Sammi on the track for the first time. 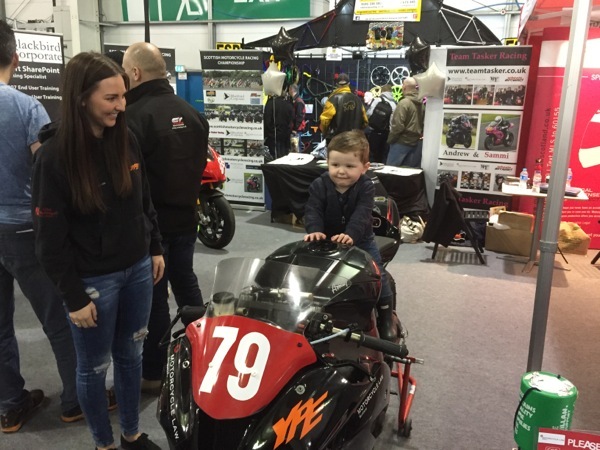 Whilst not planning an assault on the Scottish Championship title, Andrew, Sammi and Peter will be out and about racing at East Fortune and Knockhill throughlut the season. 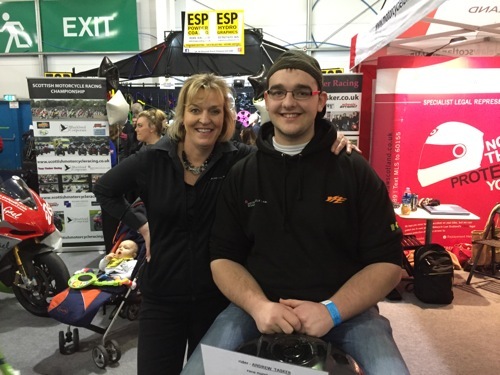 Andrew and Sammi caught up with Brenda on the MLS stand at the Scottish Motorcycle Show.